Pressure washers are some of the most versatile and reliable cleaning machines in existence. Not only can they address a multitude of different tasks, but modern technological innovations are associated with greater levels of safety and precision. Those who wish to get the most out of these machines should possess a basic understanding of how they function. 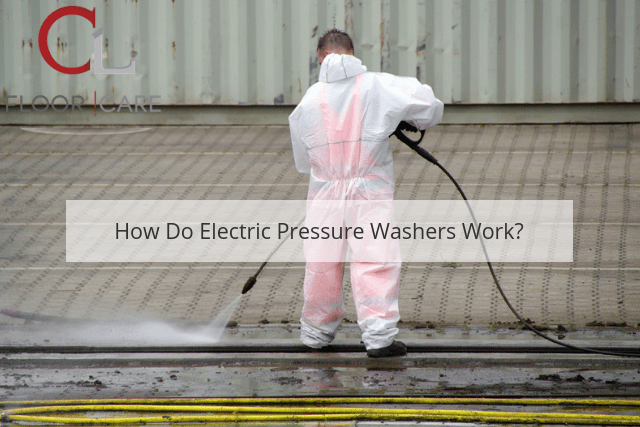 Let us examine the principles behind electrically operated hot water pressure washers. You might very well be surprised at the associated mechanics. The heart of any pressure washer is the engine. This engine provides the power required to drive a water pump. Water is provided from a mains supply (such as a hose). This water is then fed through the pump; becoming pressurised to a predetermined level during the process. Once the adequate pressure is reached, a valve will open. This valve is activated with the user depresses the handle of the washing attachment (often referred to as the pressure washing “gun”). These are two important terms to understand, as each is used to define a specific measurement. Pounds per square inch determine how much force the water exerts on a surface once it leaves the tip of the hose. Gallons (or litres) per minute instead refer to the amount of water consumption associated with the unit. Some electric pressure washers can produce hundreds of pounds per square inch. Thus, they need to be handled correctly to that potential injuries can be avoided. Thankfully, there are a number of built-in safety features included with most machines. It is normally not possible to detach the hose while it is still under pressure. The same holds true in regards to the washing attachments on the tip of the gun. Some units also have a locking mechanism which prevents the trigger from being accidentally pulled. Pressure washers are available in all shapes and sizes. There are also gas-powered units available if you require a portable model. Regardless of what variety is chosen, understanding how these washers function will allow you to perform the correct operations while avoiding accidents. CL Floor Care is pleased to supply a wide variety of electrical pressure washers, so be sure to browse through our collection in greater detail. There is no doubt that you will find what you are looking for.